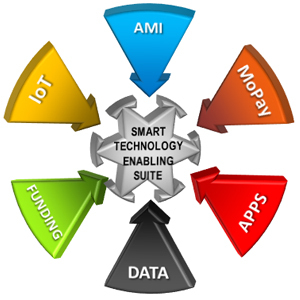 MobileHub is an aggregator of Smart Technologies, which are then converged in scenario-fit packages for our projects. Our projects are summarily spared the current technology clutter, and preferentially access converged and compatible technologies, from best-of-breed suppliers. 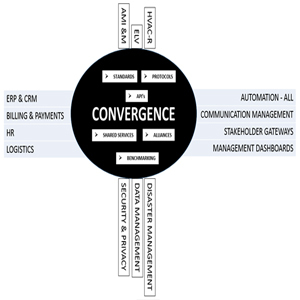 We also deliver management dashboards that integrate all technology clusters, thus maximizing their efficiencies. 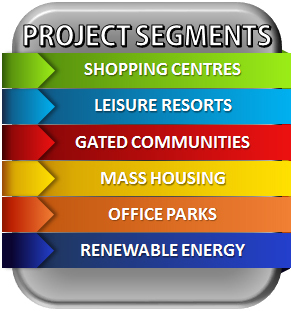 We work as part of the existing professional teams of major projects in our targeted industries, in both retrofit scenarios and new developments. 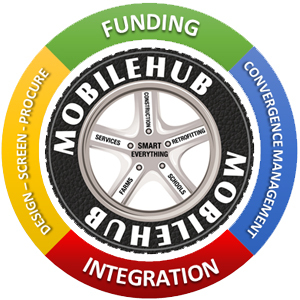 MobileHub typically does a multi-disciplinary analysis of the information made available, presents a scenario-fit perspective to the project professionals, and prepares a Smart Technologies Plan and an accompanying funding proposal, should it be required. 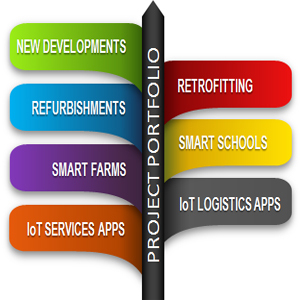 MobileHub is involved in major new properties development, retrofitting smart technologies to existing property assets, and facilitating the funding thereof. Specialized silos are comprised of Smart Schools, Smart Farms and IoT Apps for specialized services and logistics. Funding and finance packages for projects involving renewable energy capacity and related technologies form part of MobileHub core business. Industry-accepted formats are populated and submitted by MobileHub with the technical specification, costing, business modelling and project management schedules required. 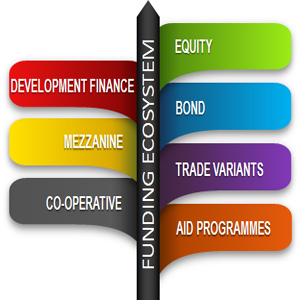 The gamut of funding and finance options are dealt with, from development finance and equity funding, through to mezzanine and trade variants, also bonds (PACE and others) and a variety of efficiency-driven securitization instruments. Energy (Traditional and renewables), water and gas - measuring, intelligence, management, billing and payment options. Internet of Things and Machine-2-Machine ecosystems, supporting infrastructure. Data, compliance and security, disaster management. Specialized mobile transacting and settlement suites, with bank licences and Payment Card Industry certifications. Sustainability and mitigation management, policies and procedures, reporting and carbon exchange management. We bring our clients into the age of interoperable smart technologies that are field-proven and cost-effective, that are Standards-based and open for development to integrate with other or future technologies and industry protocols. We help them to navigate the maze presented and costly errors caused by the current clutter of new technologies and legacy systems alike, guide and facilitate their installation and management of technologies to render their projects future-proof. Expert on Smart Technologies and the Internet-of-Everything, Sustainability and Climate Change, Energy Management and related technologies , Mobile Payments, Compliance and Governance, also an advocate for 20-odd years. 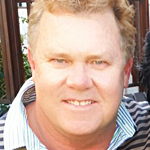 A life-long learner, also a serial entrepreneur, with incurable wanderlust to boot. 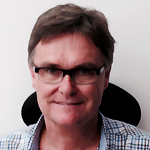 During his 36 years of involvement in the construction industry as a practising professional Quantity Surveyor, has assembled a reference project portfolio of the highest standing, with around 20 landmark projects in the Middle East, likewise in South Africa, 5 in Mauritius and stellar projects in Qatar and Montenegro.